Finally! As promised, here is my short film, Better Off Undead! Whew, It's just crazy to see months and months of work fly by in seconds. Seconds!! Well so, I started Animation Mentor Jan 2007, took classes on and off for about two years, and today I'm off to the Bay Area for the AM graduation. I'm super excited to graduate and meet my class, mentors, and all the other students, from around the world! I'll write up my thoughts about it in the next posts. But for now I just want to thank everyone who helped me out these past couple of months. Some of you know that I ended up getting placed in a tough situation and I appreciate everyone who got in touch with me to offer up some help or give an encouraging word. I won't forget it man and I hope to return the favor someday! Godfather style! Please enjoy, and as always, thanks for watching! Hey guys! Here's something I did tonight for a birthday gift . I'm not much of a painter (obviously! ), but there you go . I had a few guidelines to springboard from, but I just wanted it to put the recipients in a good mood whenever they look at it! Maybe you will too, which is why I wanted to post it. And I know I keep saying this, but, film comin soon! Promise! Just lower your expectations a little! 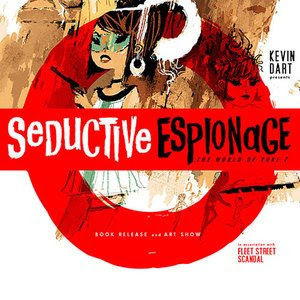 On another note, this Friday is Kevin Dart's Seductive Espionage: The World of Yuki 7 show at Gallery Nucleus! Check out that rockstar lineup! And oh man, recently I was fortunate enough to be invited to have my Yuki sketch included in the show! Which or course meant, getting it framed, and matted, and stuff. Which I've never done with my own art before. Oh and pricing it, which I'm not used to doing either. I guess when you're a newbie like me you're just thinkin, who on earth is gonna pay for this? Anyway it goes on for about two weeks, It was a little too last minute to get a ticket down, but if you stop by take some pictures! After a little more than two years (on and off, I started Jan 2007) ,I'm finally done with my courses at Animation Mentor! July is gonna be a busy month. I go down to the bay area for the AM graduation, and then the weekend after after, is the San Diego Comic Con! Time flies when you're busy! 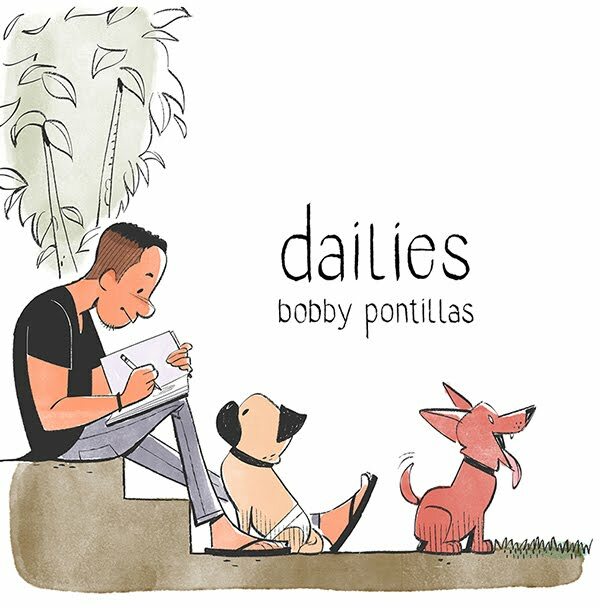 Here's a roll call of my final class, with Keith Sintay as mentor. I had the pleasure of sharing this class with some really , really skilled, hard workin' people. I felt like I was behind the whole time, seriously. But everyone was unbelievably supportive, and humble, and friendly. Same goes for all of my terms at AM though, I gotta say I made some good friends every class, and now half of my facebook are AM people. I've been spending my waking hours polishing the 3D animation, so unfortunately I have no new drawings worth showing. But I thought I'd post some character sketches I did last year when I was working at Gas Powered Games. Grandpa Caruso and Surfergirl ! Grandpa was alot of fun, and I remember trying design surfergirl after my fiance, Cheryl. Both versions ended up not getting used for the project, actually, nothing ended up getting used, but thats another story altogether =). Still, it was a fun project, a great (albeit short) experience, and I worked with some great dudes. Check out waaay more awesome work from this project on Raf's blog! Yesterday I finally finished up some freelance work with Nickelodeon too! It was actually a lot of fun. I didn't know what to expect working with a bigger company like Nick, but I worked with a real cool art manager that "got it" and acted as buffer between myself and the Nick head honchos. I appreciated that. I'll post up the film as soon as I get it in presentable order! I promise! Along with some tidbits on the things I learned, struggled with, little victories, in making the film. As humble & simple as it is, this term was chaotic! As you might know. See you soon! In the Bay OR SD!